Visitors to the park can drive through the large animal exhibits, which contain species such as White Rhino, Elephants, Tigers and Black Bears. It is part of the estates of the Duke of Bedford that also includes Woburn Abbey and its 3,000-acre deer park. The Safari Park itself covers 360 acres. All pennies cost £1 to roll. Machine 3: (2017) is located at the trading post area just down from the gift shop. Details updated by Andy T, www.scottishpennies.com. 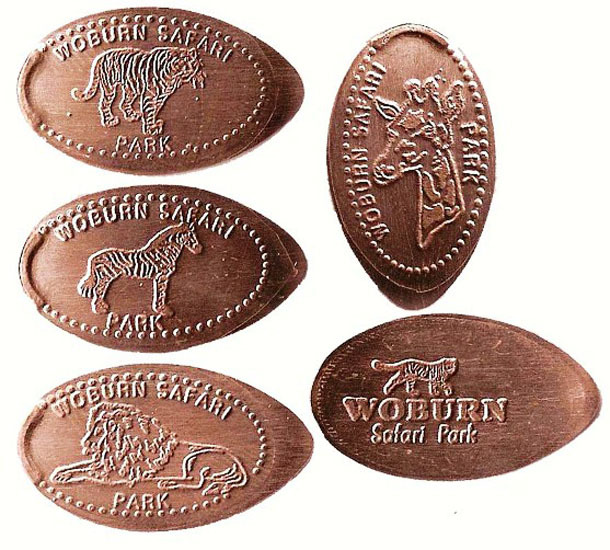 thegillion added Woburn Safari Park to system.